Are you interested in Japanese history in the twentieth century? Do you want to know more about Anglo-Japanese ties in the first half of the twentieth century? The Library currently has trial access to Foreign Office Files for Japan, 1919-1952 from Adam Matthew Digital. This database makes available extensive coverage of British Foreign Office files dealing with Japan between 1919 and 1952. I’m pleased to let you know that the Library has been given the opportunity to trial for a second time the fascinating Socialism on Film: The Cold War and International Propaganda from Adam Matthew Digital and the BFI National Archive. This impressive collection of documentaries, newsreels and features reveals the world as seen by Soviet, Chinese, Vietnamese, East European, British and Latin American film makers. Documenting the communist world from the Russian Revolution until the 1980s and covering all aspects of socialist life. And what makes this resource unique is the collection of films were produced almost exclusively in the communist world and then versioned into English for distribution in the West. Following a request from a student in HCA the Library now has trial access to ProQuest’s Women’s Magazine Archive, collection I and II. 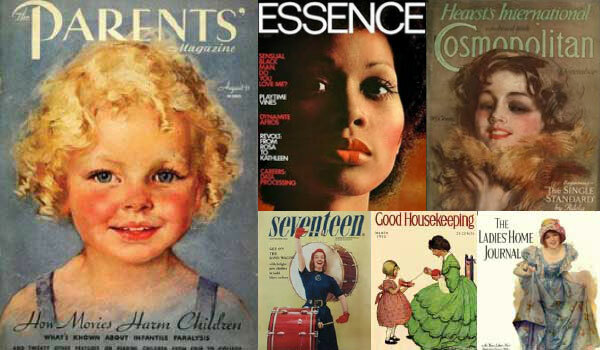 This unique database comprises archival runs of leading women’s consumer magazines of the twentieth century.